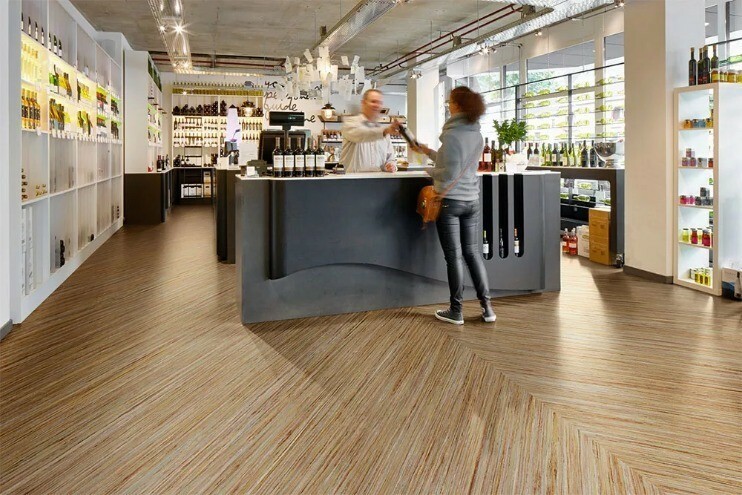 Marmoleum is a natural floor associated with sustainability, durability, and innovative design. Similar to the non natural Amtico and Karndean flooring, our marmoleum collection includes solutions for virtually any interior. The beauty of marmoleum lies in its versatility. Available in both 2m sheet and modular tile formats, with more than 300 colours and more than 12 different structures to choose from, there is a design to complement every home. Created using natural, raw materials, marmoleum flooring is highly sustainable and boasts a unique performance. There are many advantages to installing marmoleum flooring in your home, here are some things you should consider. What is Marmoleum made of? Our high quality, durable marmoleum is made from 97% natural raw materials, 72% of which are rapidly renewable. At M&L we take care to source sustainable materials, and all of our marmoleum is comprised of 43% recycled content. All marmoleum floors now include Topshield2, a double UV-cured finish that helps our floors to stay looking their best for the longest possible time. This results in a flooring solution with a remarkably low cost of ownership over its lifetime. At M&L we are happy to provide free quotations for all our customers. Our experienced team of fitters continually receive excellent feedback due to their dedication and hard work. Would you like to discover more about our extensive range of marmoleum and linoleum flooring options, as well as our anti-slip vinyl flooring and wood flooring? Get in touch and our expert team will only be too happy to find the perfect flooring solution for you.